Professor of Software Engineering, Professor George Spanoudakis is the Principal Investigator on the CyberSure research project. Professor George Spanoudakis, City, University of London Professor of Software Engineering is the principal investigator and technical coordinator on the CyberSure project. The project combines the strengths of academia and industry towards developing a framework for creating, monitoring and managing cyber insurance policies covering organisations against cyber system security attacks. CyberSure, which began in January 2017, lasts for four years. “The continually increasing extent and sophistication of cyber security attacks poses a continuous threat to the privacy and security of individuals, organisations and the society at large. CyberSure aims to develop a market ready framework for creating and managing cyber insurance policies, offering technical and financial protection against such threats." Risk management is the process of identifying, assessing and controlling threats to an organization's capital and earnings. These threats, or risks, could stem from a wide variety of sources, including financial uncertainty, legal liabilities, strategic management errors, accidents and natural disasters. 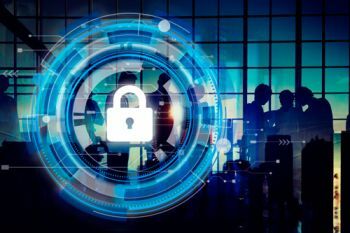 IT security threats and data-related risks, and the risk management strategies to alleviate them, have become a top priority for digitized companies.